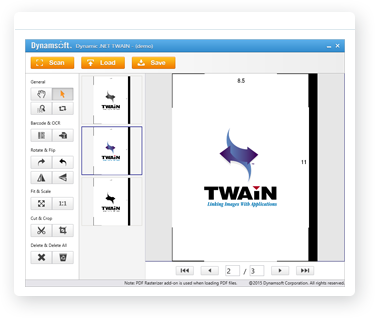 Scan documents using the complete Dynamic .NET TWAIN feature set. All features (scan, load, edit, save, ocr, read/add barcode & annotation) implemented. 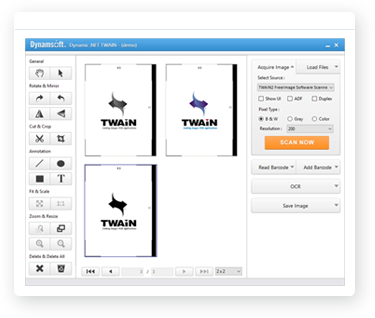 Load a local image, add 1-D & 2-D barcode symbols and save using Dynamic .NET TWAIN component.